A slow computer can be incredibly frustrating – whether you’re checking emails, browsing the internet, or trying to use multiple apps at once, an unresponsive or sluggish PC can be easily improved through servicing or affordable part upgrades. Is your computer taking too long to start up? Do simple programs like your internet browser or your emails take ages to open? Is your computer generally not responding as quickly as it used to? If you’ve responded ‘yes’ to any of the above there’s no need to panic – Dial a Geek today for same-day assistance with your computer concerns. Geeks on Wheels can speed up your computer! programs and files it simply doesn’t need. Other times, there may be malware running in the background and eating up computer resources, or it could be just a case of outdated hardware causing a delayed response. The team at Geeks on Wheels offer an annual tune-up service which can significantly improve your computing speed, and are trained to handle malware removal for your system. If your computer woes are the result of outdated hardware, you don’t always need a new PC to get the feeling and benefits of a new system – we can recommend upgrades that won’t cost you an arm and a leg! Like any other machine, a little bit of computer maintenance – combined with strategic upgrades to selected hardware – can ensure far greater speed and performance, and give your computer a new lease on life! The Geeks on Wheels team can also install the latest operating systems for your Windows PC or Apple Mac, so you can access all the latest features, have up-to-date security protection, and enjoy greater compatibility with other devices, such as iPods and tablets. 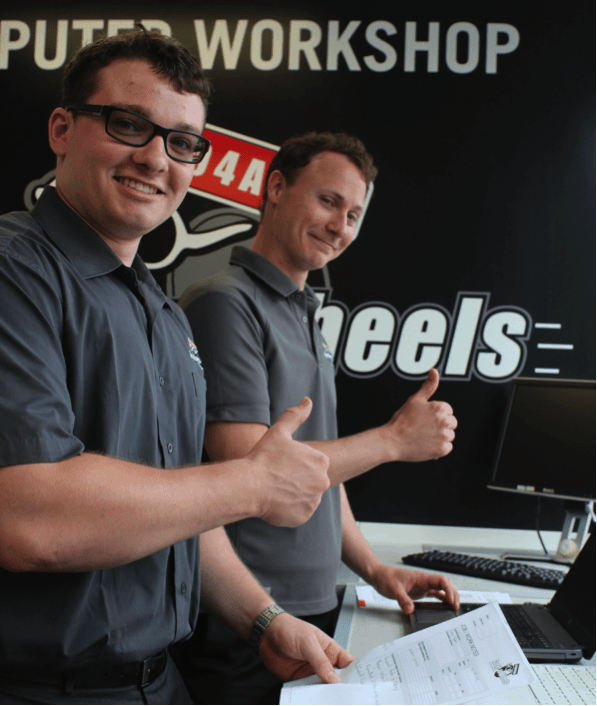 If you need any of the above services, contact the Geeks on Wheels team and Book a Geek today! Want to learn more about what a computer upgrade can do for your PC? Read the Geeks on Wheels blog for all the latest news on getting the most out of your devices!